Asking that question to a cruise addict is about as dangerous as asking a Jewish grandmother how her grandchildren are. You will launch each into a topic that they can talk about for hours and hours. They will also give you a viewpoint based on their own experience. The thought of taking a cruise keeps popping into your mind. Most people just keep thinking of it and never get around to taking the first cruise. Selecting your first cruise can be a major effort. There are so many options and so many things to consider that you can become overwhelmed and just give up. Just stop for a moment and think back to your friends, remember how enthusiastic they talked about there last cruise even months afterward? Are you like that about your last vacation? That should get you refocused. When you listen to your friends who have cruised you should keep in mind that a cruise vacation is a personal experience, and what is right ship and destination for them may not be so for you. we will look aat some of the answers you will need to go on your first cruise. 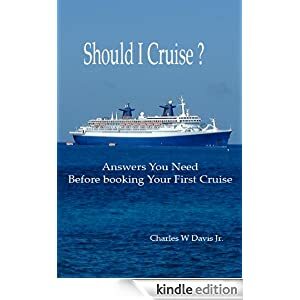 This book, some on line resources and a good travel agent will help you keep things clear as well as move you closer to that “once in a life time” cruise vacation. .